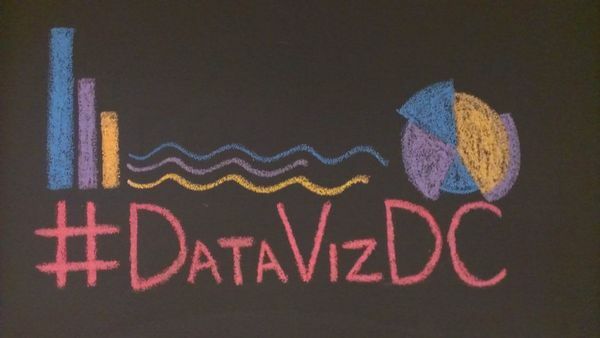 Data Community DC and District Data Labs are hosting a Data Visualization with R workshop on Saturday April 2nd from 9am - 5pm. Register before March 19th for an early bird discount! Below is a guest post and infographic from GovTribe, a DC startup that creates products that turn open government data into useful and understandable information. The hōrd iPhone app by GovTribe lets you understand the world of government contracting in real time. Our latest release, hōrd 2.0, has way more data than our initial release. We spent the last six months building a completely new approach for consuming, processing, and making sense of government data from multiple sources. The iPhone app now provides insight and capability not available anywhere else. Our efforts have also given us pretty robust visibility into how the government behaves and where it allocates its resources. So we thought we'd share. This post is the first in a series that GovTribe plans to publish. Our purpose is to find some signal in all that noisy data, and to provide some clear, interesting, and maybe even useful information about the world of federal government contracting. We thought a good place to start, with just over a month left in fiscal year 2013, was a look back at what's been happening since October 1, 2012. Soon to come: Agency Insight. In this series we'll take a deeper look at individual agency activity. Stay tuned - and feedback is always appreciated. This is an interesting Forbes article about GE, the Internet of Things (which it calls the Industrial Internet), and how they are trying to be to that space what Google has become to the consumer data space. Running a data-driven organization requires not only having the right talent, tools, and infrastructure to meet the organization's objectives. It also requires a data-friendly culture, which is the premise for this article. The author identifies 10 qualities that can make for a better environment to foster innovative data-driven processes. This post is part of Jeff Leek's interview series on his Simply Stats blog. This week Jeff interviewed Miriah Meyer, who is an expert on data visualization. The interview includes questions about her work, background, influences, and advice she has for data scientists about visualization. This is a fun blog post about putting together a beer recommendation system using the R statistical programming language. The author walks us through the processes he followed, includes snippets of the code he used, and even shows off the resulting app where you choose a beer you like and it recommends other beers that are similar to it. In this May/June edition of Data Visualization DC (DVDC) we took our first step and experimented with a new interactive format, which I'm happy to say went very well. In short, we started with the standard Data Community DC (DC2) style introductions, Andy Trice gave his presentation on Adobe's work with HTML5, and we finished by breaking into two groups to play with visualization-focused and code-focused examples. The last half of this format grew out of the standard DC2 lecture format, and was inspired by the enthusiastic requests of the DVDC members. DC2 could continue to host lecture style events for the foreseeable future, and it will likely always be a good introduction for new members whether they're attending DVDC, DSDC, DSMD, DBDC, or SPDC, but we know there is more we can do to engage with DC's data community and the question has been, "How do we decide on an approach?" Before I go any further, if you attended the event we would appreciate your feedback using this quick survey. We wanted to experiment with this format based on the strong feedback we received from both the visualization and code focused groups. The approach was simple: set the context using Andy's presentation, then break into two groups that catered to coders and visualizers, and maybe have some feedback from the two groups to wrap things up; Data Drinks follows every DC2 event. The first surprise was the number of people interested in the detailed coding examples, and we had only prepared for about six people. Some people in the visually interactive portion did access the presentation and interactive material, but we quickly learned that despite the tailored link "bit.ly/DVDC_HTML5_Ex" shared on the event page and my personal twitter handle, it was not a smooth process. Most simply discussed the presentation, with the most activity circled around Andy himself who was feverishly answering questions from as many people as could gather around. If there were a slight adjustment I could have made, it would have been to have a larger table setup in another area for the people interested in the coding examples, but of course not all spaces have this kind of room. I also would have started promoting the interactive material much farther in advance, it is asking a little too much of people to pay attention during a presentation and find the example they're interested in. 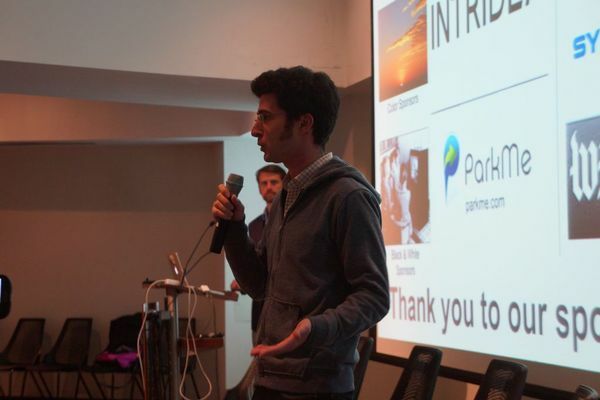 More broadly however, the strong interest in two different types of interactive events begs for a follow-up workshop, hackathon, or both, which we are currently planning with Andy and nclud. Again, if you attended the event, we would of course love your feedback using this quick survey. Data Visualization: From Excel to ??? So you're an excel wizard, you make the best graphs and charts Microsoft's classic product has to offer, and you expertly integrate them into your business operations. Lately you've studied up on all the latest uses for data visualization and dashboards in taking your business to the next level, which you tried to emulate with excel and maybe some help from the Microsoft cloud, but it just doesn't work the way you'd like it to. How do you transition your business from the stalwart of the late 20th century? If you believe you can transition your business operations to incorporate data visualization, you're likely gathering raw data, maintaining basic information, making projections, all eventually used in an analysis-of-alternatives and final decision for internal and external clients. In addition, it's not just about using the latest tools and techniques, your operational upgrades must actually make it easier for you and your colleagues to execute daily, otherwise it's just an academic exercise. Tableau Server is a great option to share information across all users in your organization, have access to a plethora of visualization tools, utilize your mobile device, set up dashboards, keep your information secure. The question is, how big is your organization? Tableau Server will cost you $1000/user, with a minimum of 10 users, and 20% yearly maintenance. If you're a small shop it's likely that your internal operations are straightforward and can be outlined to someone new in a good presentation, meaning that Tableau is like grabbing the whole toolbox to hang a picture, it may be more than necessary. If you're a larger organization, Tableau may accelerate your business in ways you never thought of before. There are a number of database options, including Amazon Relational Data Services and Google Apps Engine. There are a lot of open source solutions using either, and it will take more time to set up, but with these approaches you're committing to a future. As you gain more clients, and gather more data, you may want to access to discover insights you know are there from your experience in gathering that data. This is a simple function call from R, and results you like can be set up as a dashboard using a number of different languages. You may expand your services, hire new employees, but want to easily access your historical data to set up new dashboards for daily operations. Even old dashboards may need an overhaul, and being able to access the data from a standard system, as opposed to coordinating a myriad of spreadsheets, makes pivoting much easier. Google docs is very much a distributed system where different users have different permissions, whereas setting up a centralized database will restrict most people into using your operational system according to your prescription. So when do you consolidate into a single system and when do you give people the flexibility to use their data as they see fit? It depends of course. It depends on the time history of that data, if the data is no good next week then be flexible, if this is your company's gold then make sure the data is in a safe, organized, centralized place. You may want to allow employees to access your company's gold for their daily purposes, and classic spreadsheets may be all they need for that, but when you've made considerable effort to get the unique data you have, make sure it's in a safe place and use a database system you know you can easily come back to when necessary.